Description: No more holes in your clothes! Instead of pushing a post through your shirt or lapel, these pins use strong rare-earth magnets to stick securely in place. One of our most popular pieces - the crown of thorns surrounds the Precious Feet on a black background. The Crown of Thorns pin with the baby feet (10 weeks old in the womb) is a very powerful weapon in pro-life work. 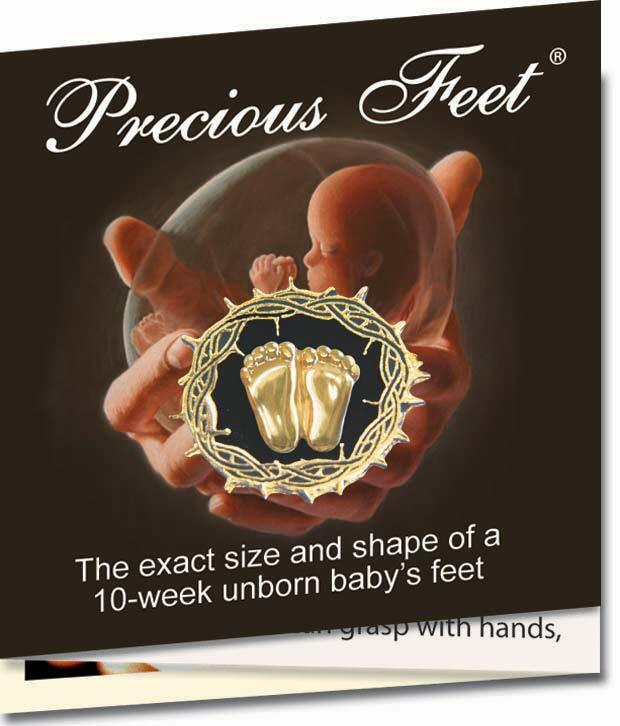 When asked about it, the person who asks, learns how perfectly formed at 10 weeks, the babies feet are. We presented these to pastors after sharing the reality of abortion and the biblical perspective of life in Eastern Africa. 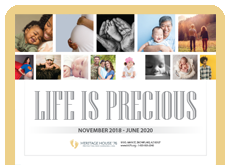 The images lend themselves to powerful reminders of the selfless sacrifice of Christ’s innocent life for the forgiveness of all and the forced sacrifice of the life of the innocent unborn because of pride. A good friend of mine and his wife were wearing these at a 40 Days for Life event. 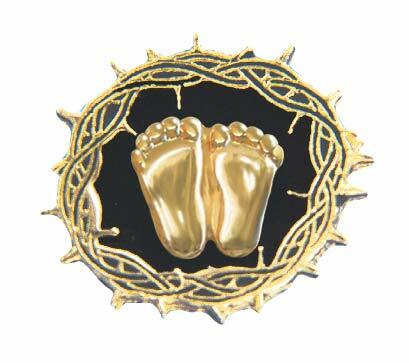 They are the most beautiful Precious Feet pin I have ever seen. I am purchasing some for me and friends. I believe I will be ordering more once my Right to Life friends see them. They are easy on and and off, no damage to clothing. They are very spiritually moving. Looks great but difficult to separate the magnets - the magnetic attraction seems stronger than the glue holding the image to the first magnet. Be careful, it's very delicate. I love the precious feet pins but this pin says it all. The innocent feet of the unborn and crown of thorns of Jesus Christ. It reminds us to be the hands and feet of Jesus for the unborn and their families.